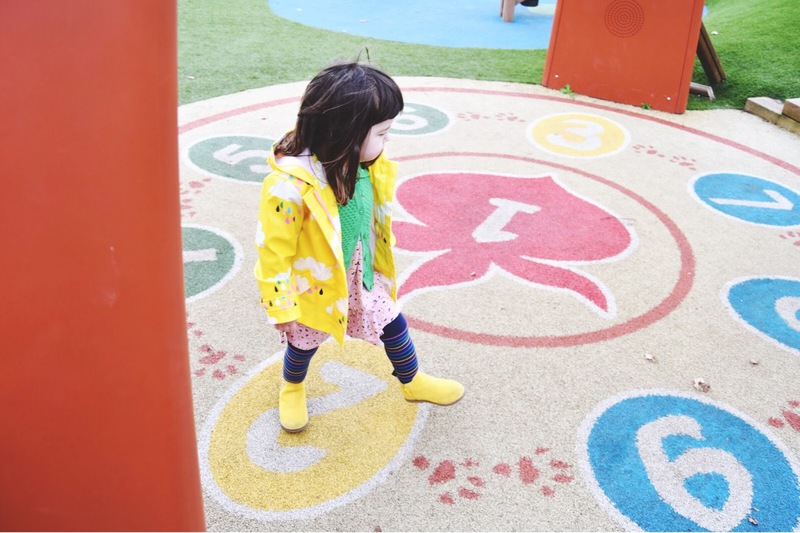 After 6 long, gruelling months, I cannot explain to you how happy I am to be publishing a 'Park Life' post once again. 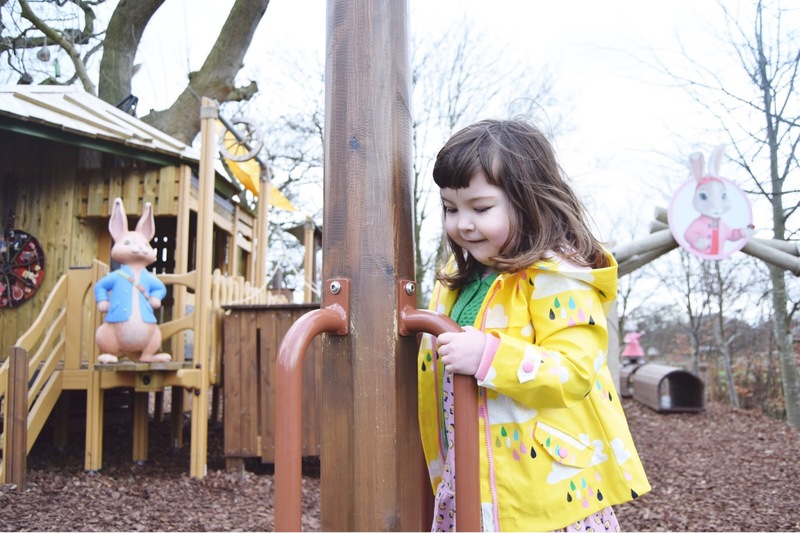 Due to pre-op isolation, 6 weeks inpatient, obscene warfarin levels and then severely reduced mobility, the simple pleasure of seeing my baby wander around a playground again has nearly brought me to tears and I am finally beginning to get excited about the fast-approaching summer. 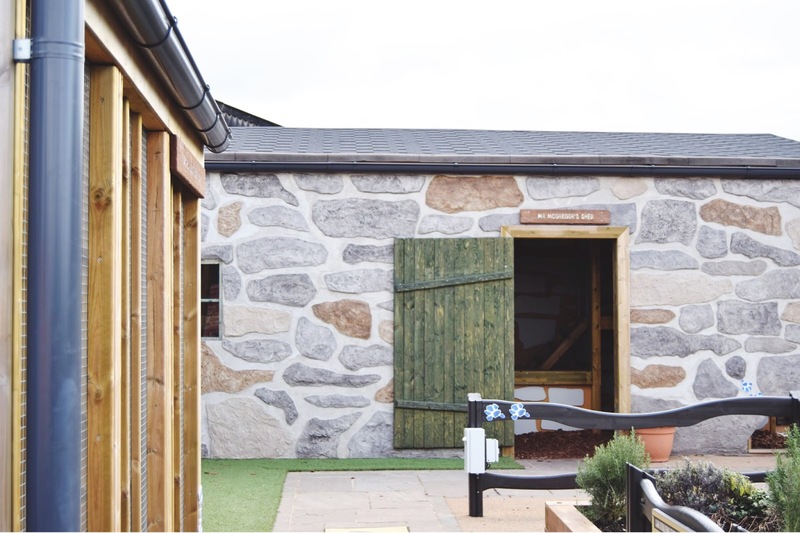 And it seems we will be spending the majority of our summer here! 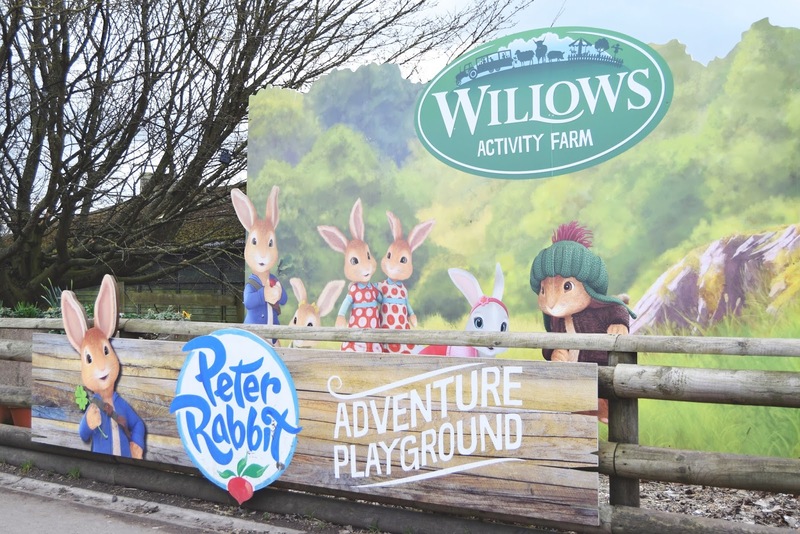 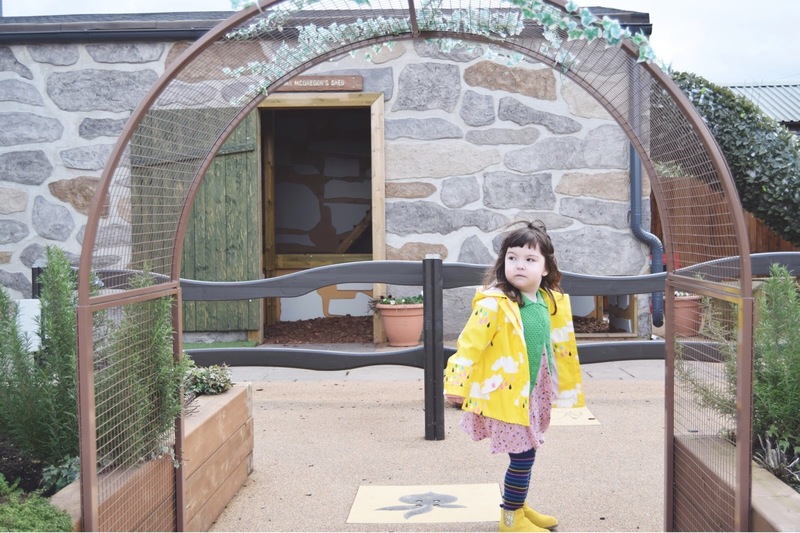 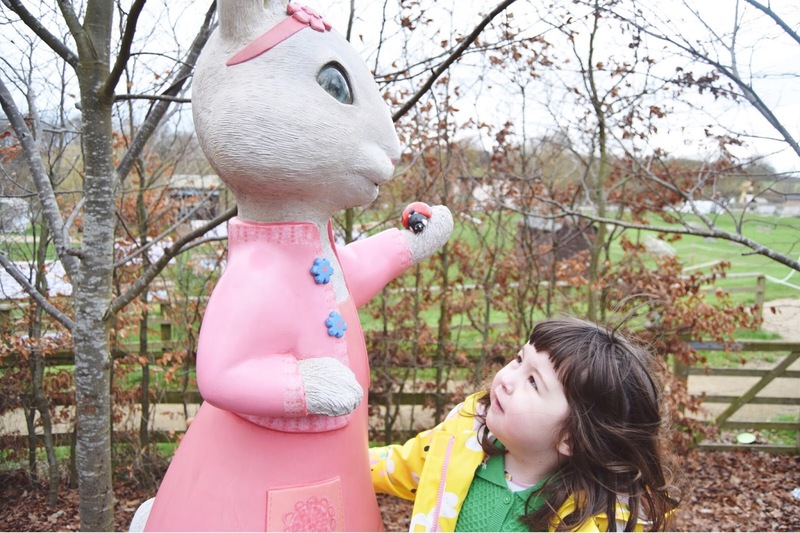 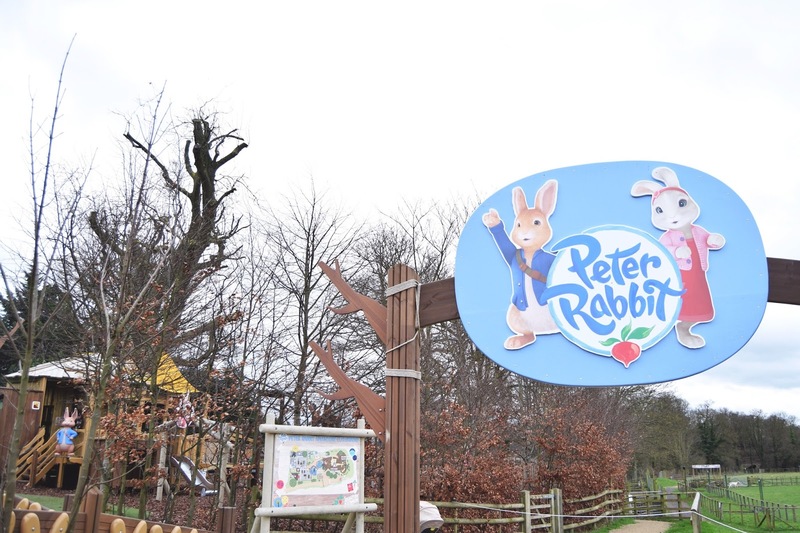 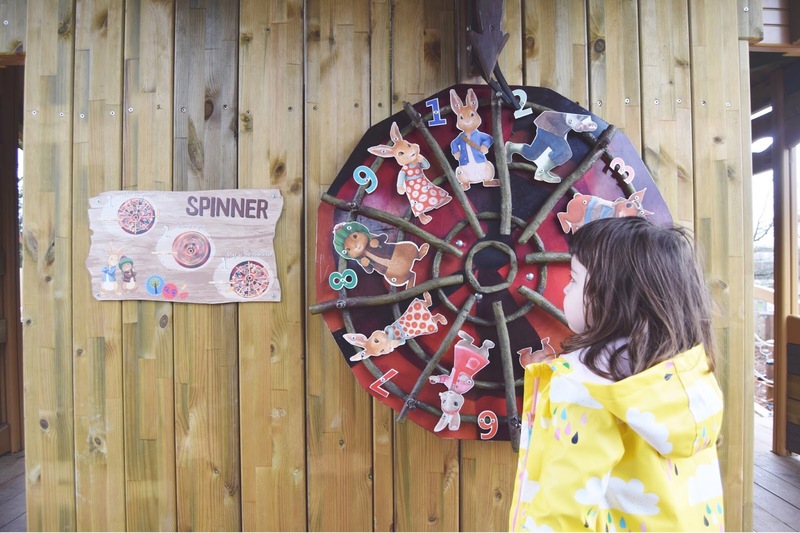 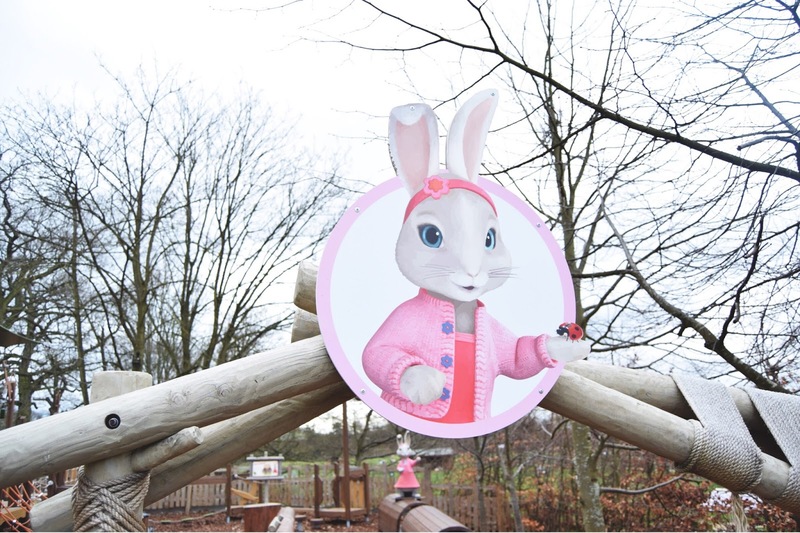 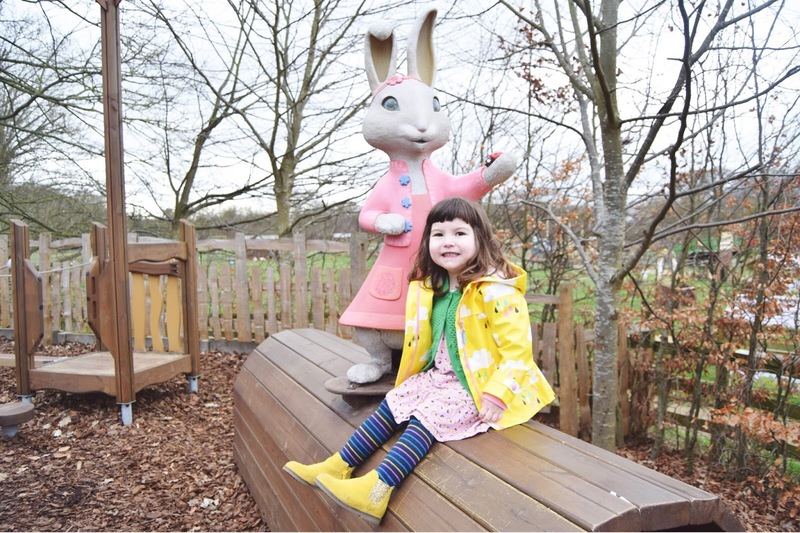 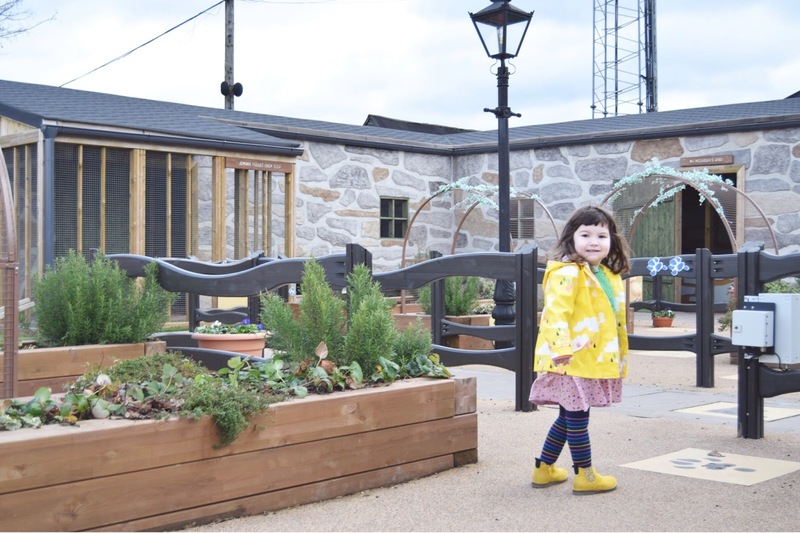 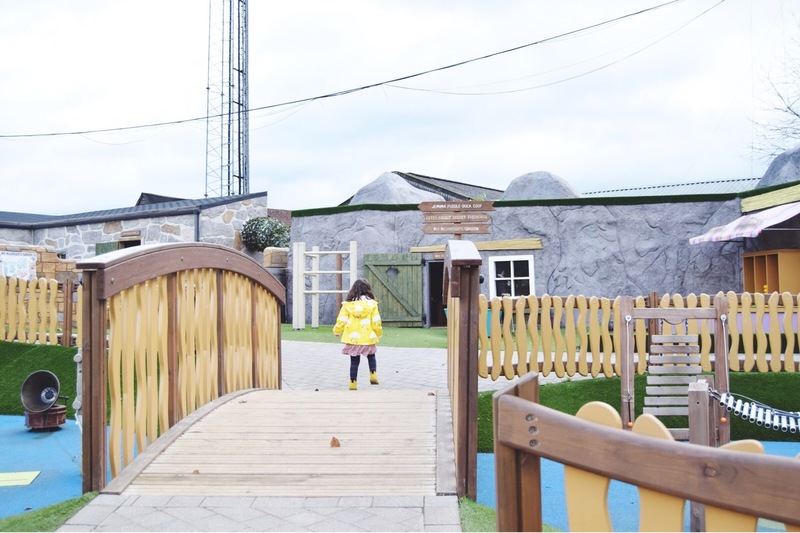 We have recently become members of Willows Activity Farm due to its convenient location near our weekly-shop destination and with so much to do here it seemed like the perfect place to set up camp with a toddler and a newborn on spring and summer days. 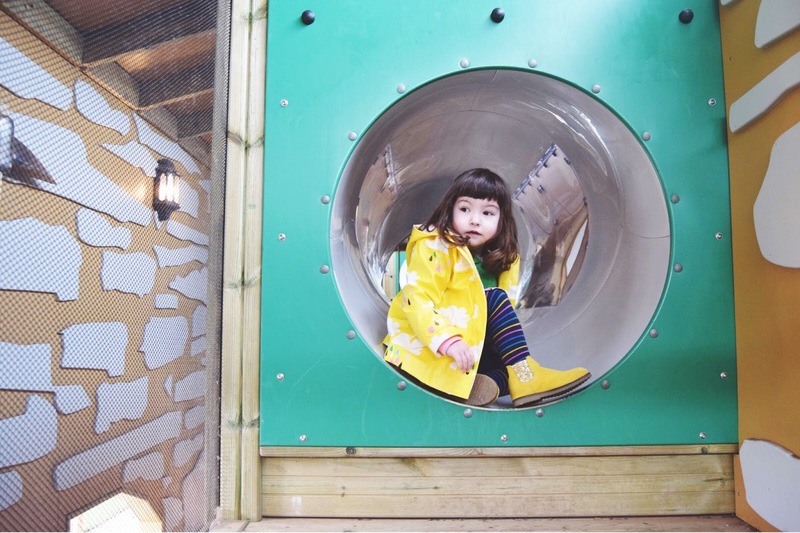 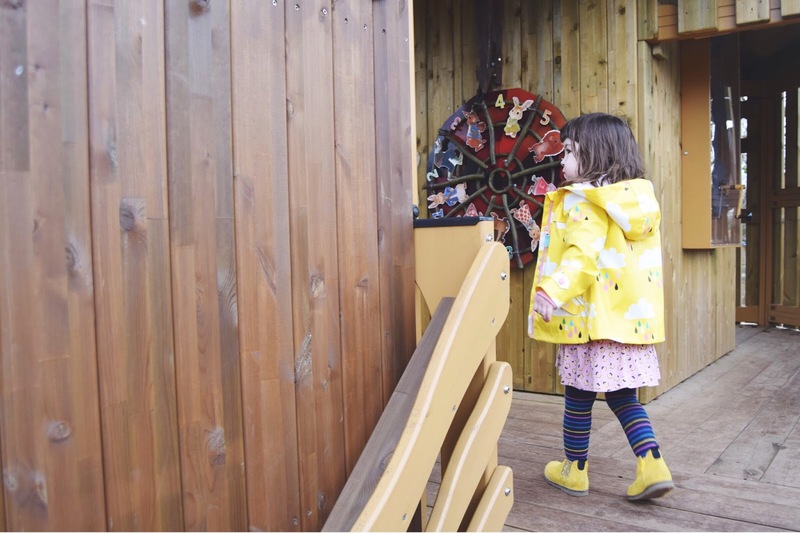 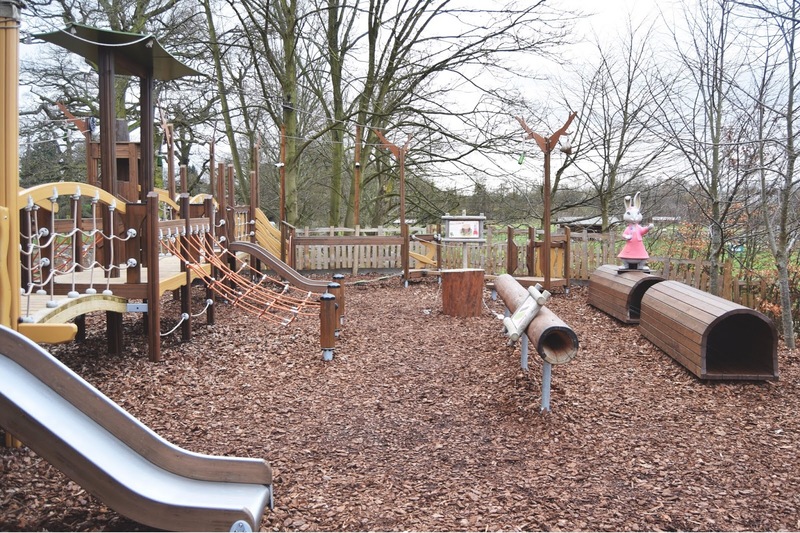 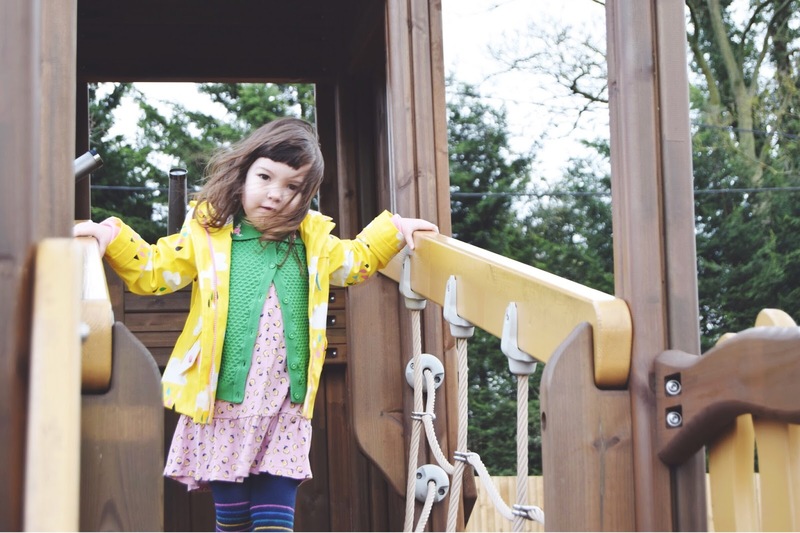 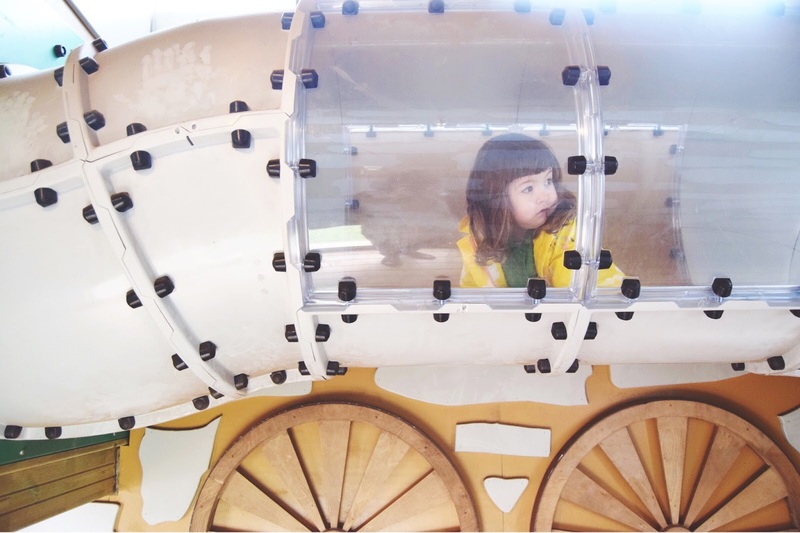 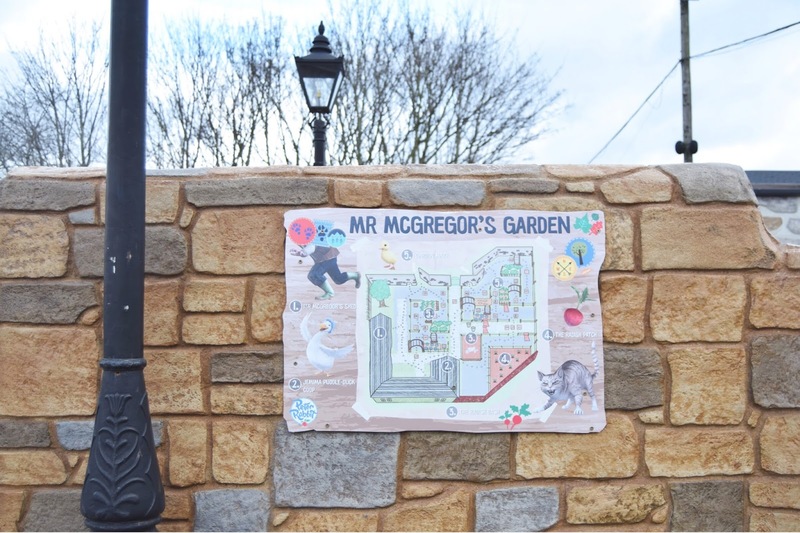 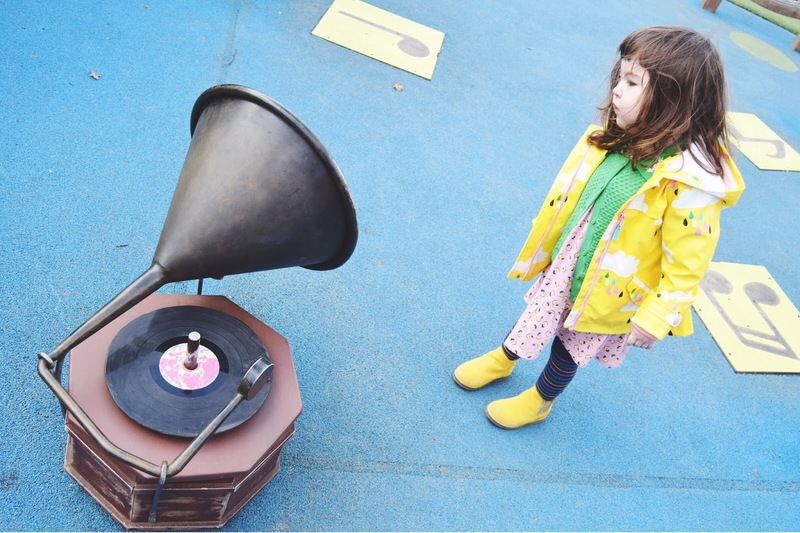 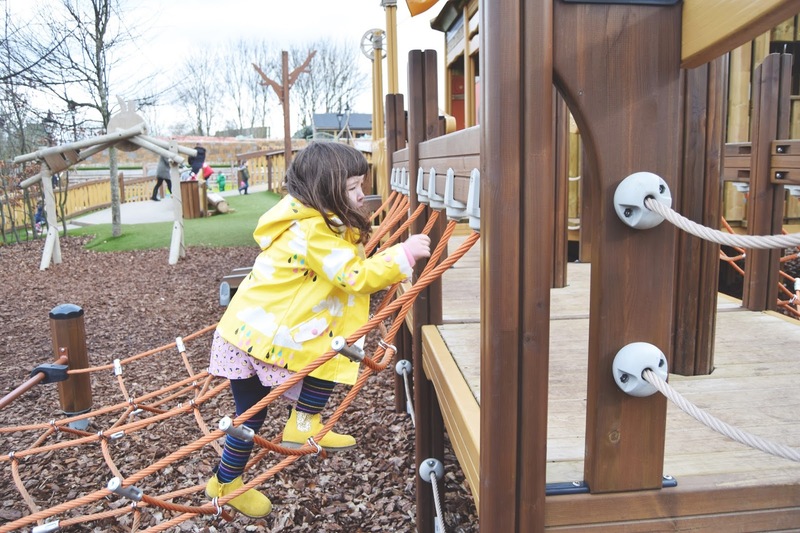 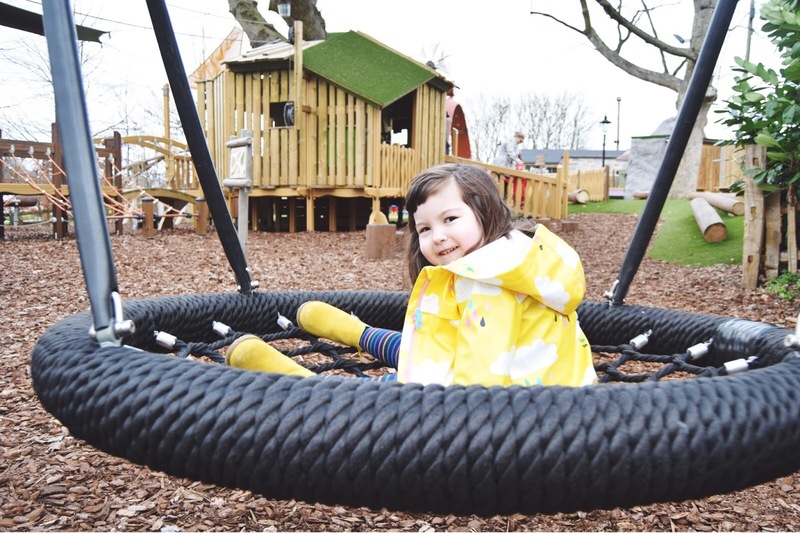 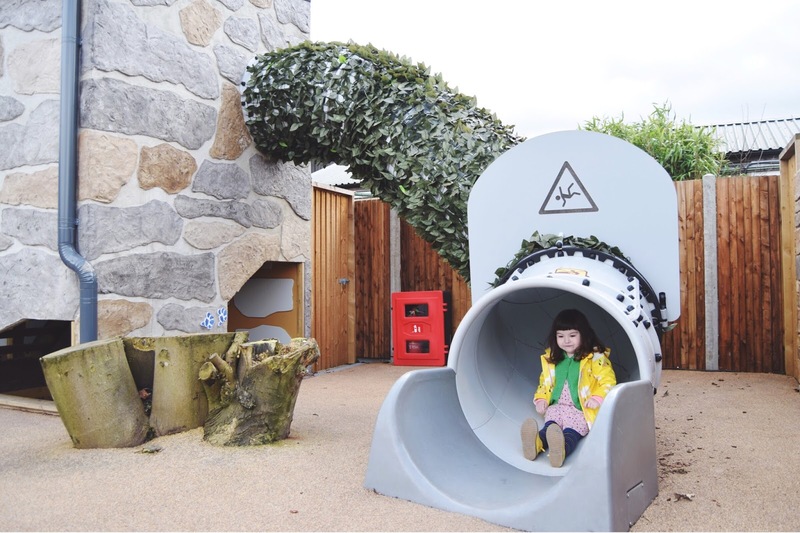 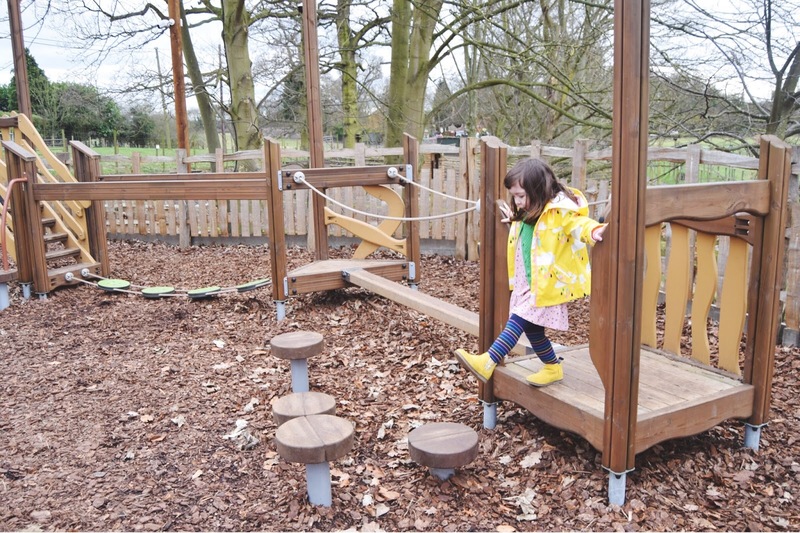 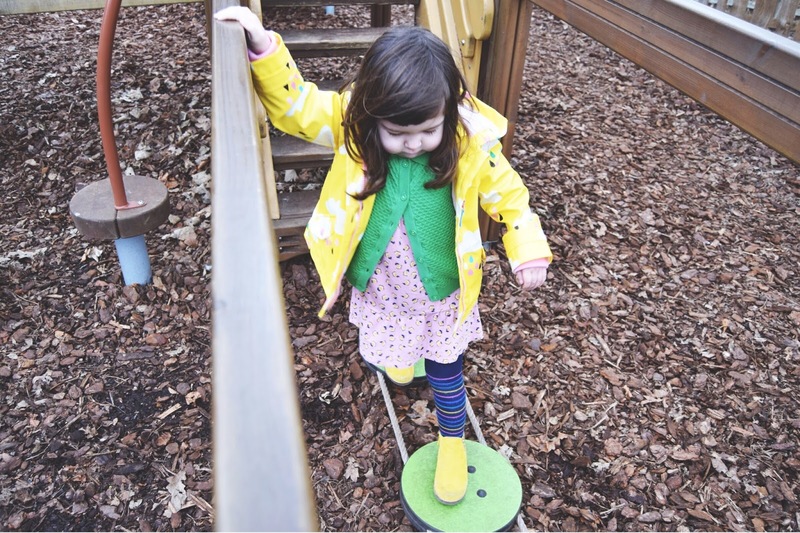 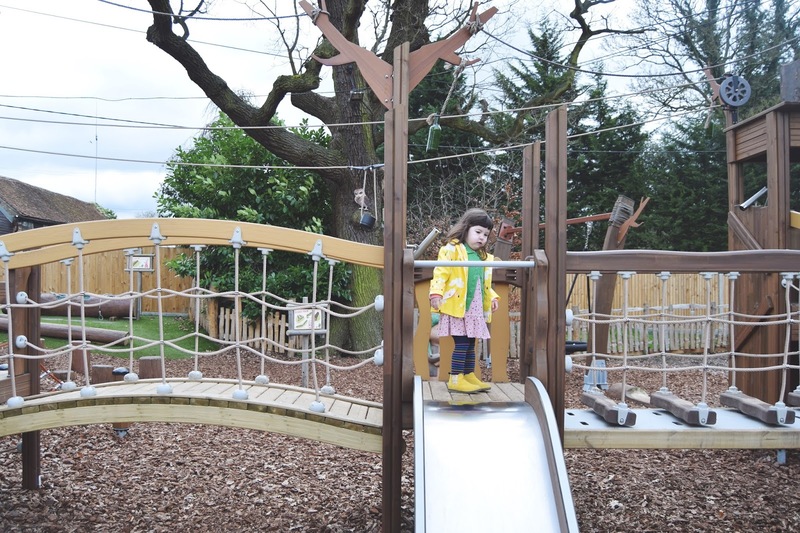 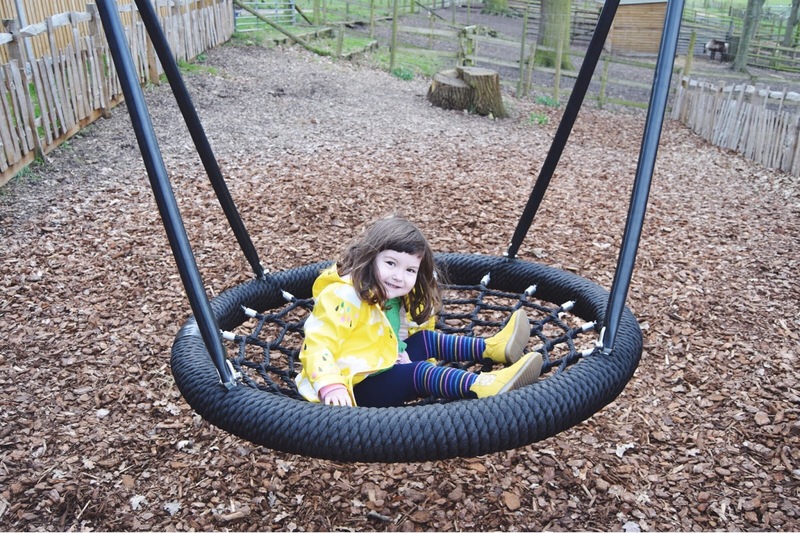 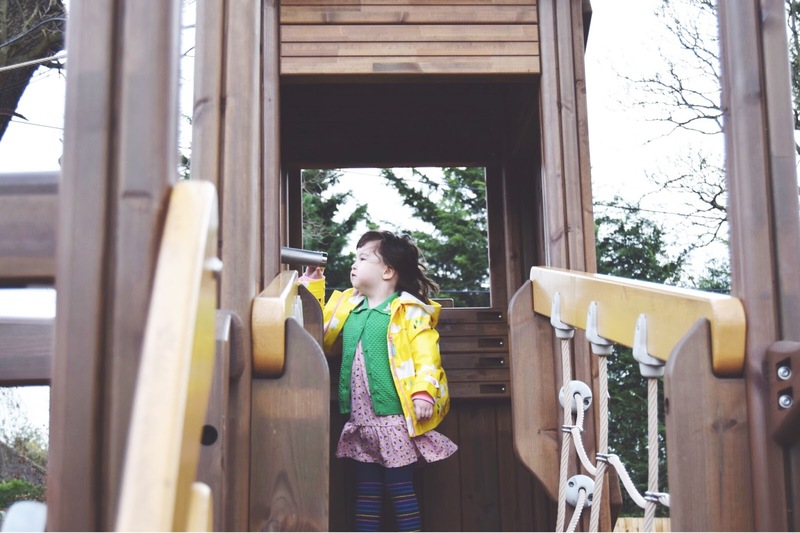 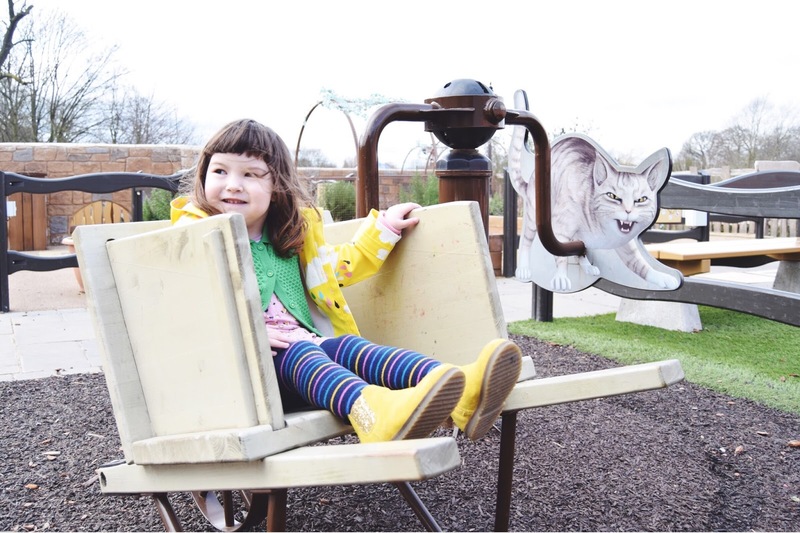 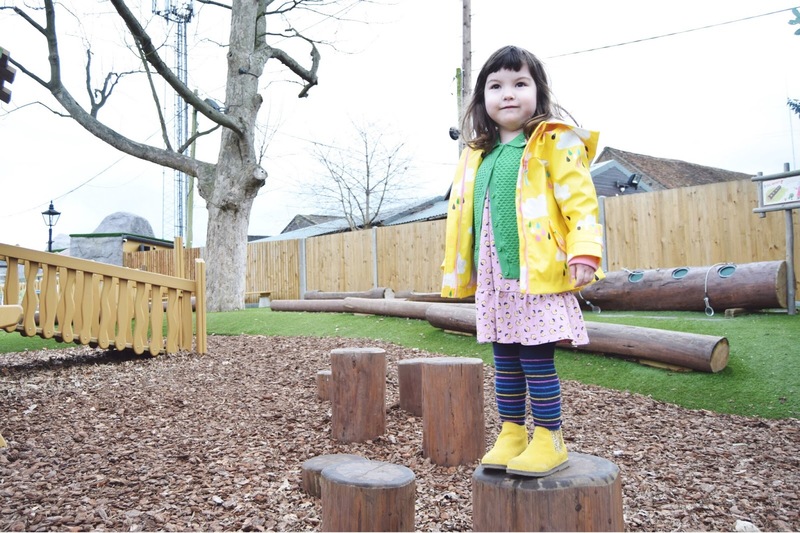 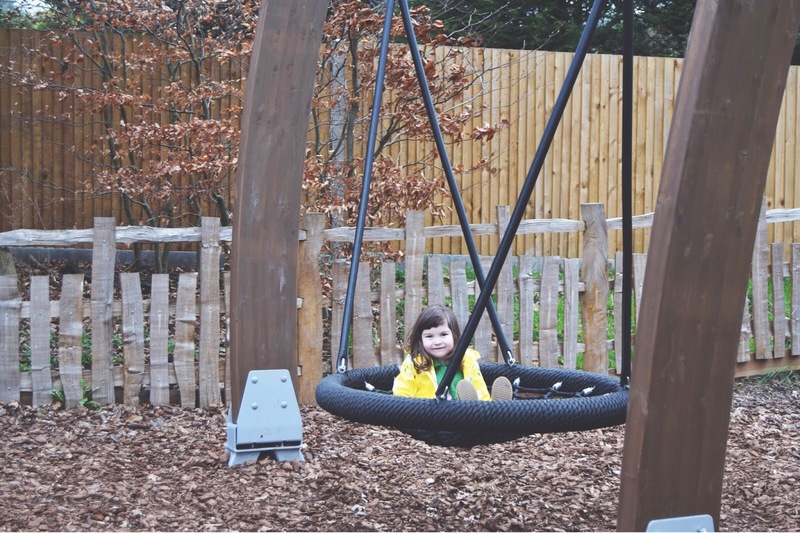 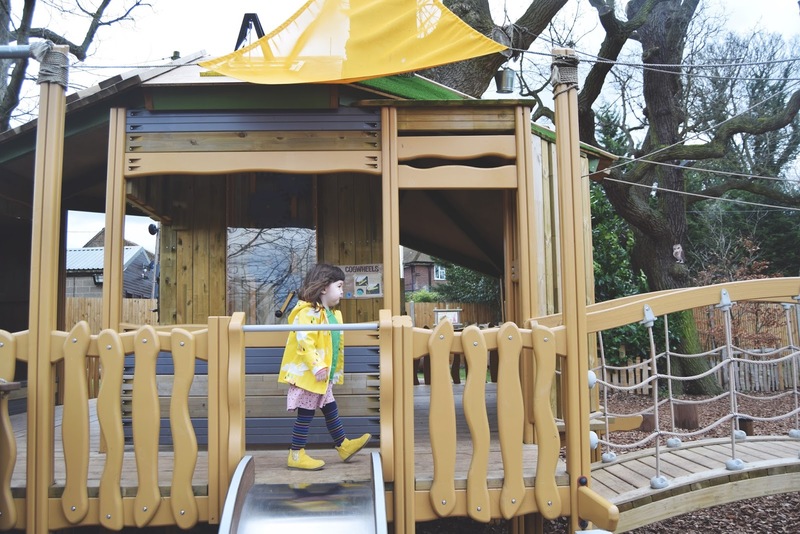 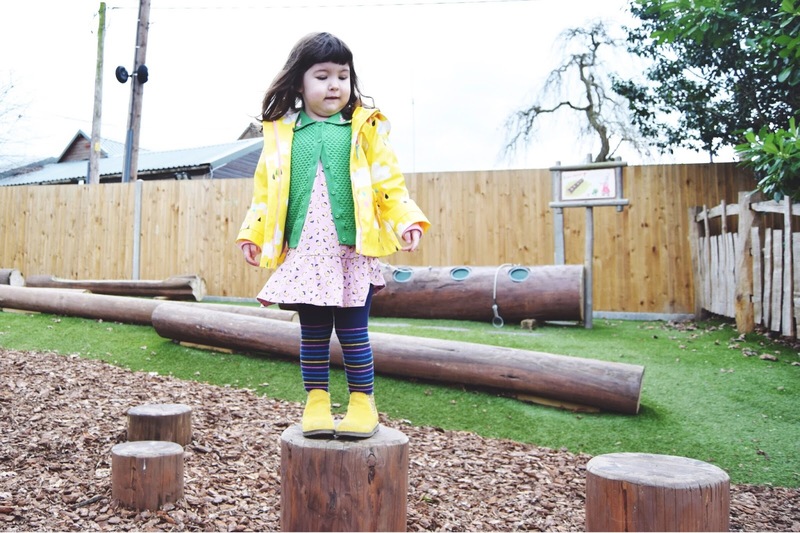 The best thing about the Adventure Playground here is how suitable it is for children of such a young age and is so much that's both interesting and accessible which is usually hard to find. 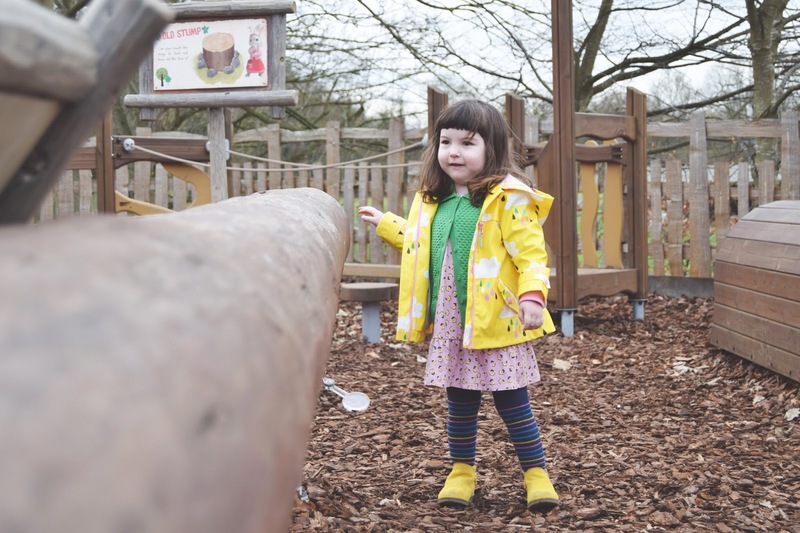 The parks we've tended to go to are either a bit dull if aimed at tinies, but the bigger can be more challenging for Ivy and would mean she required a lot more support getting around them. 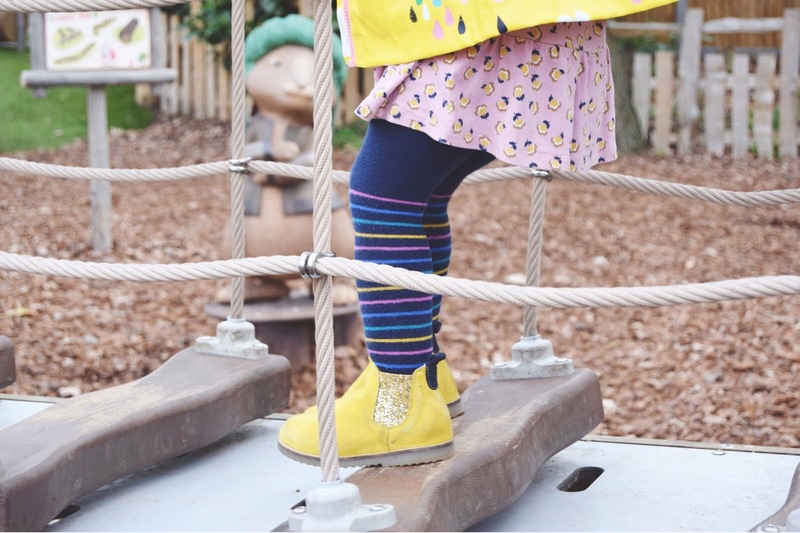 This is the perfect balance with so much to do without me frantically trying to climb alongside her. 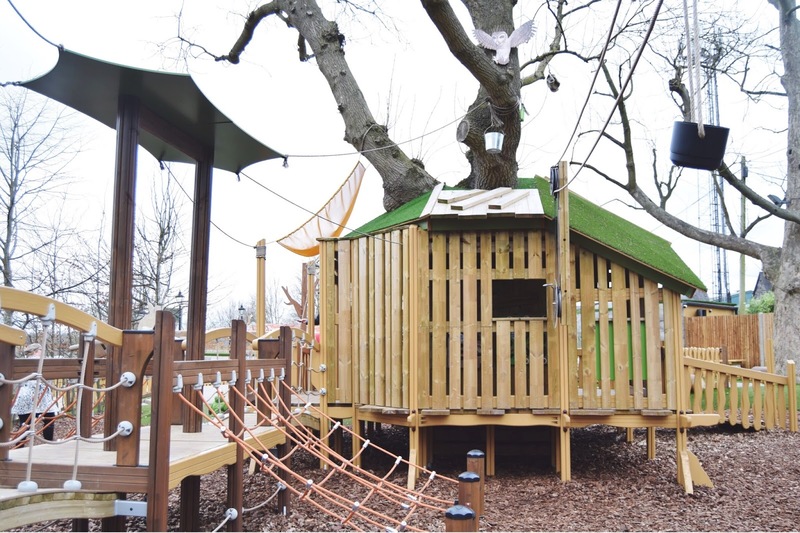 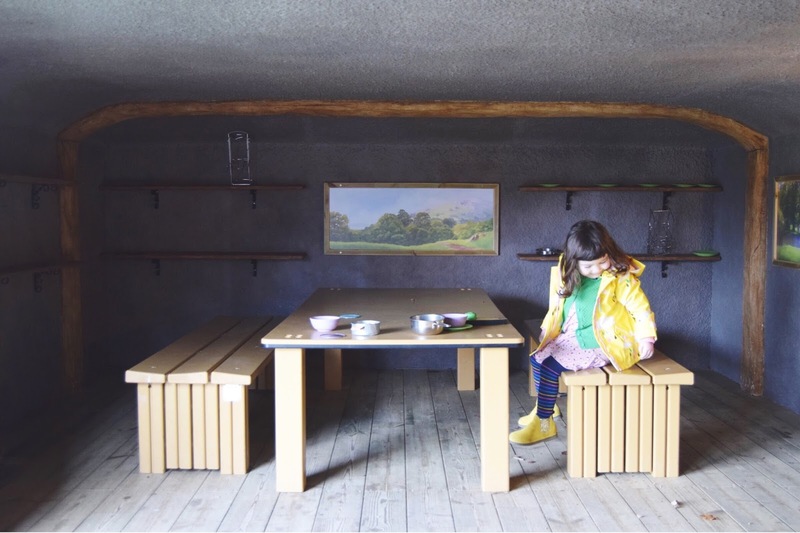 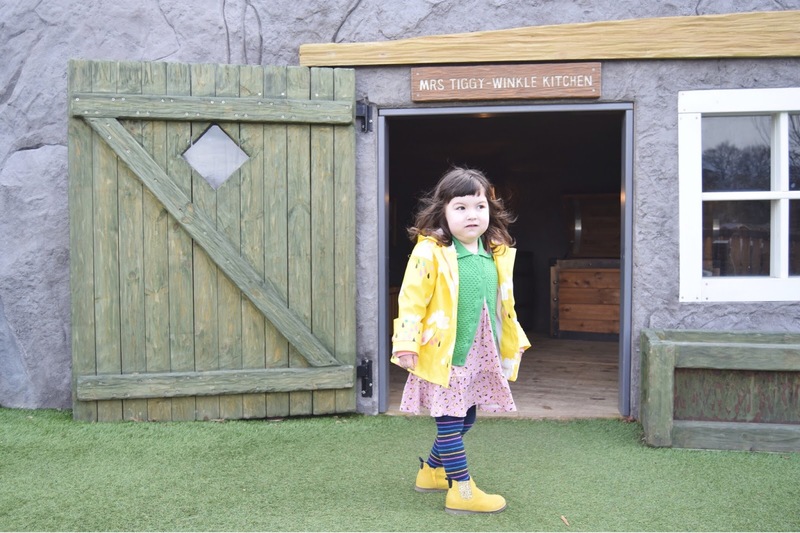 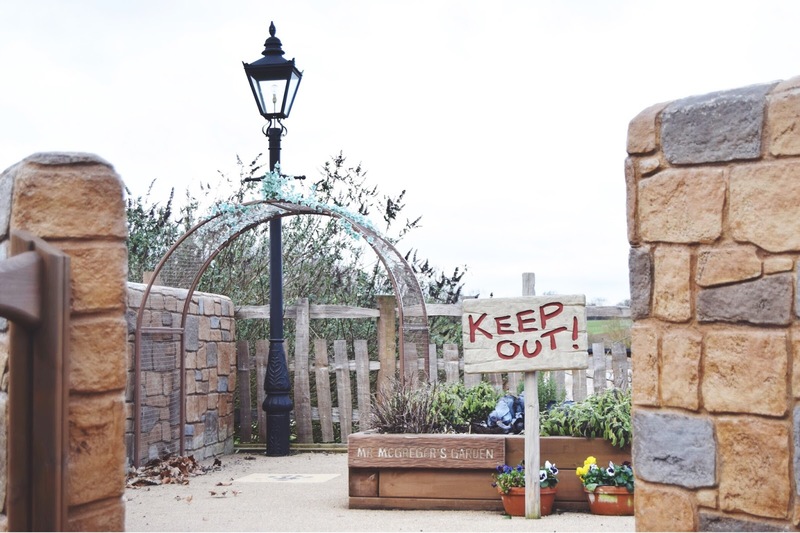 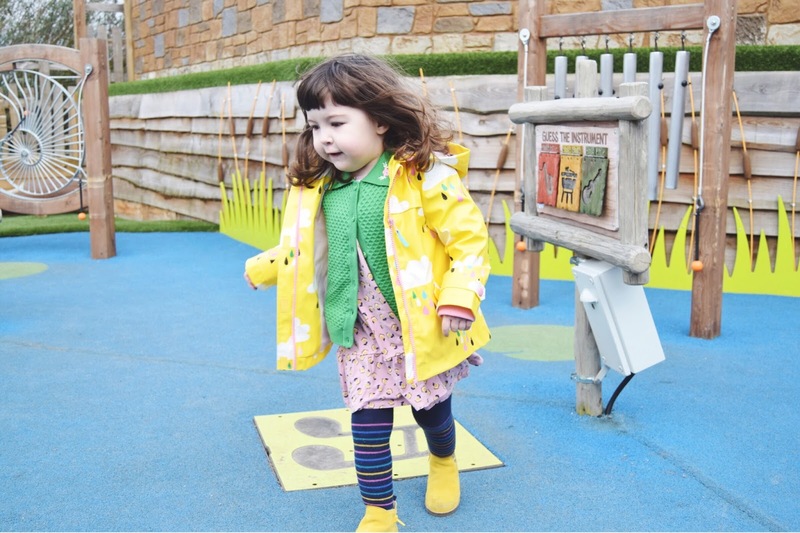 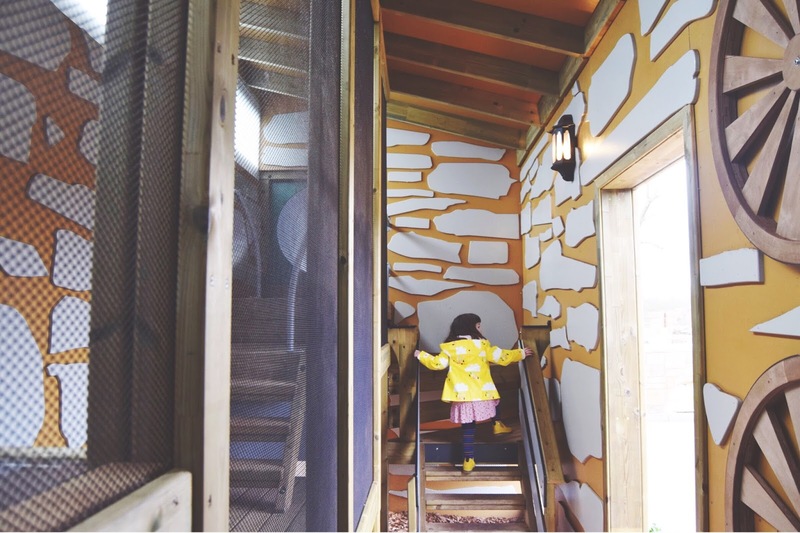 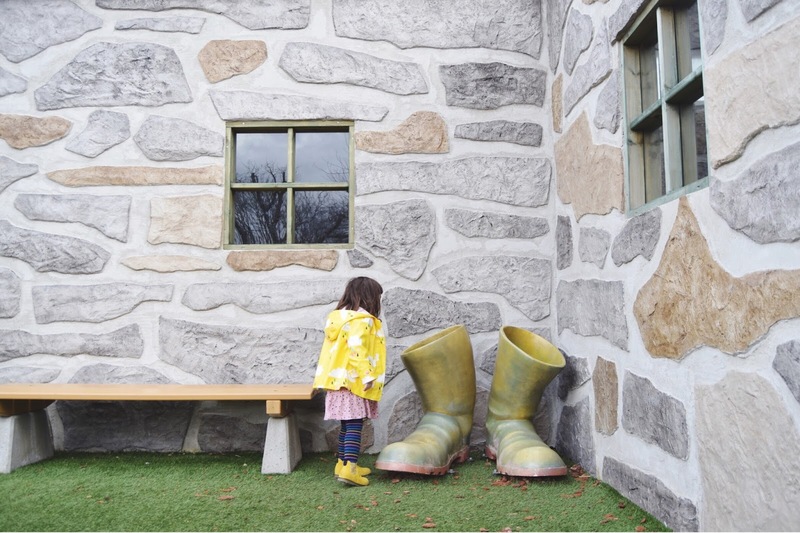 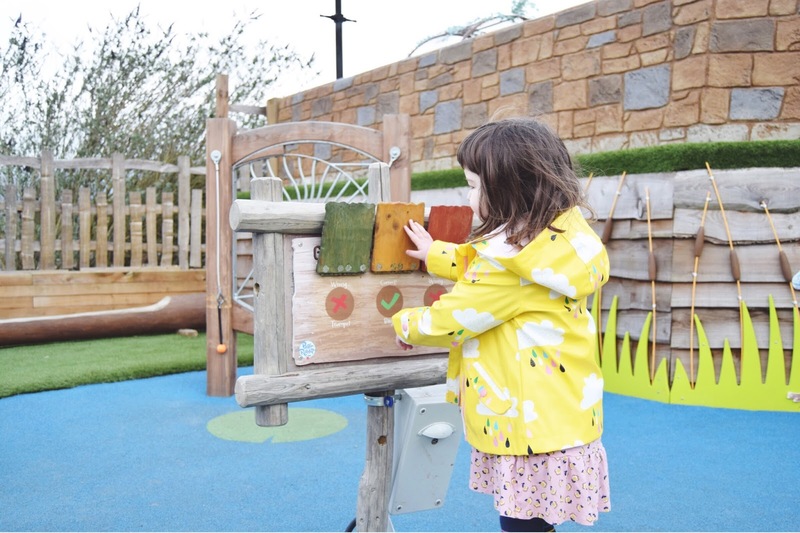 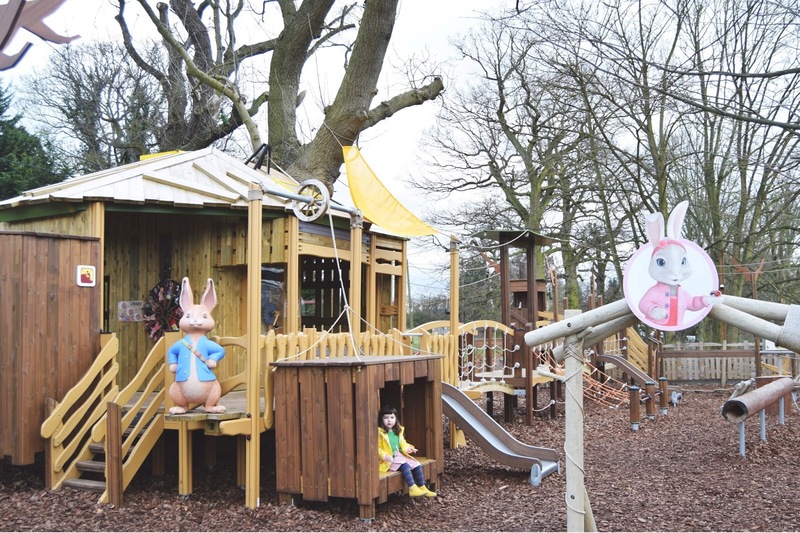 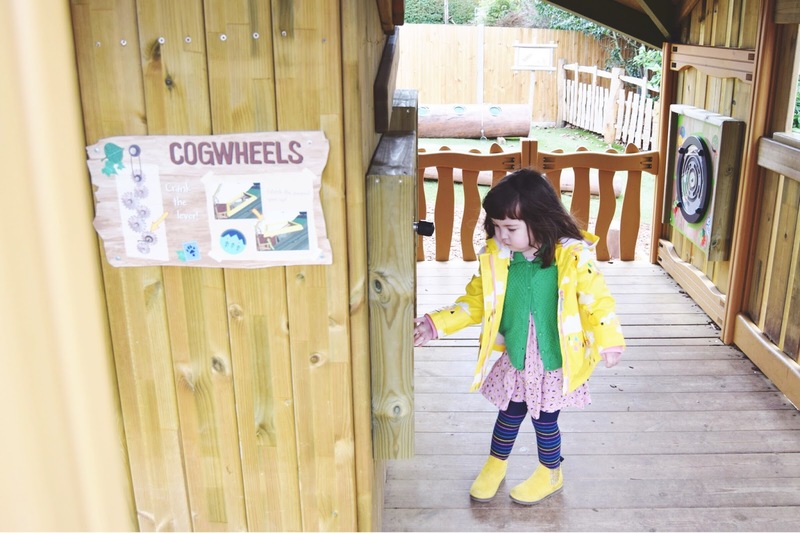 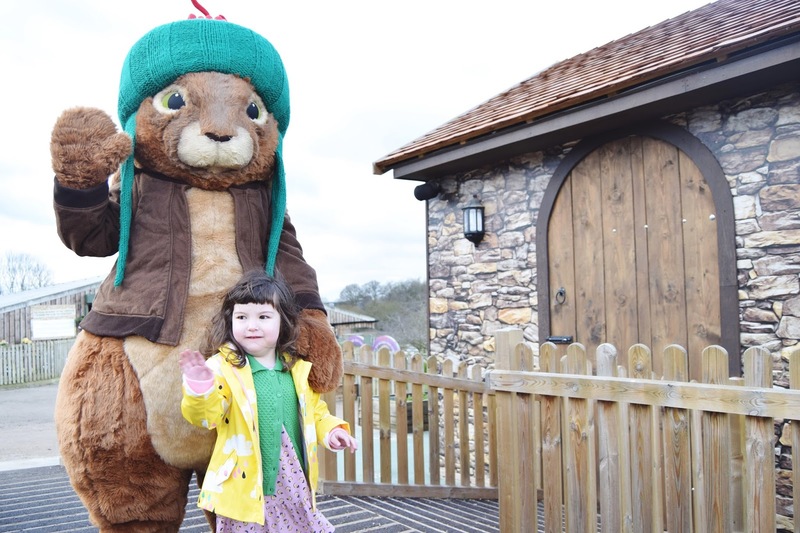 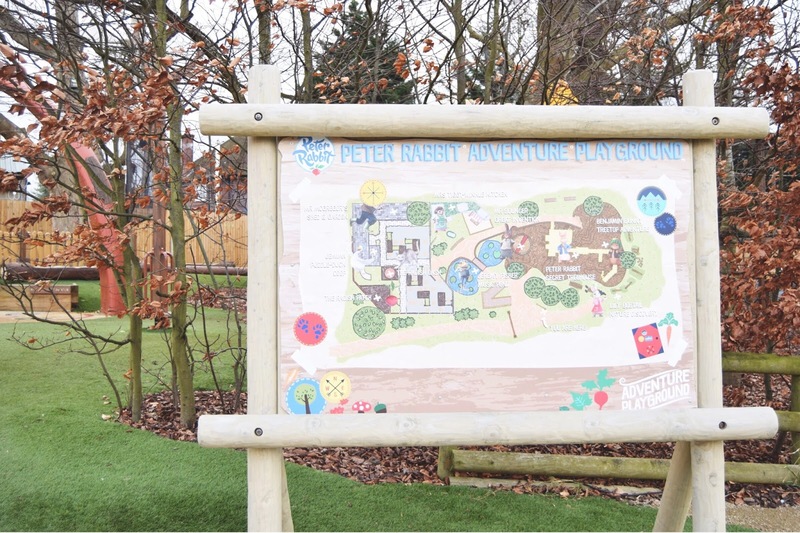 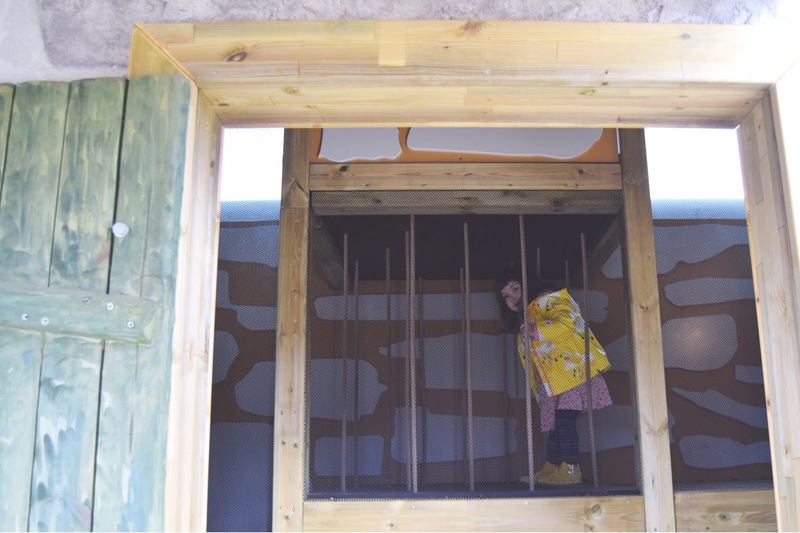 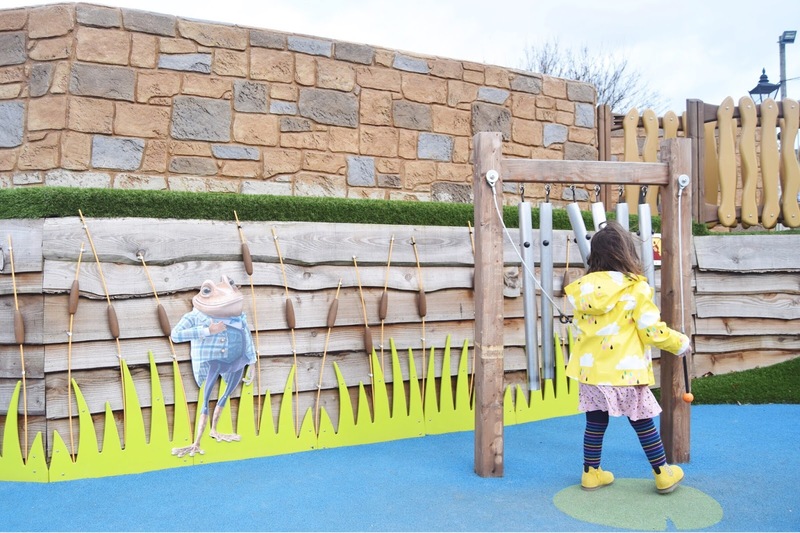 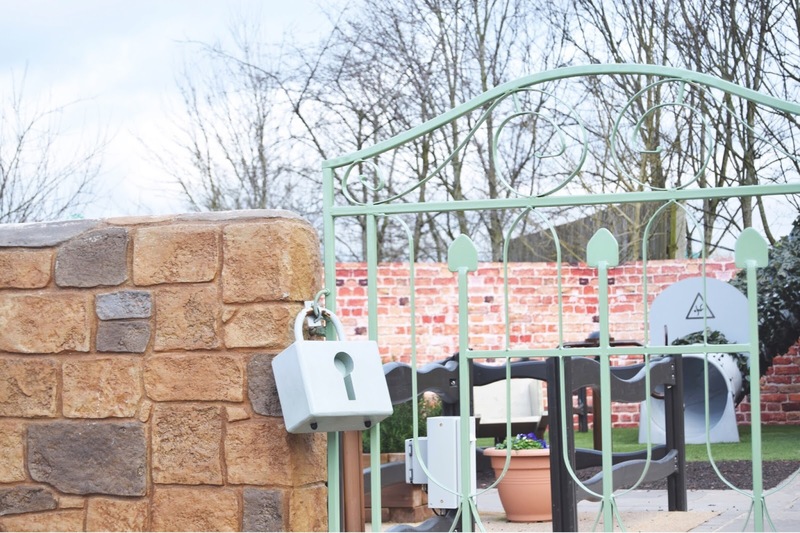 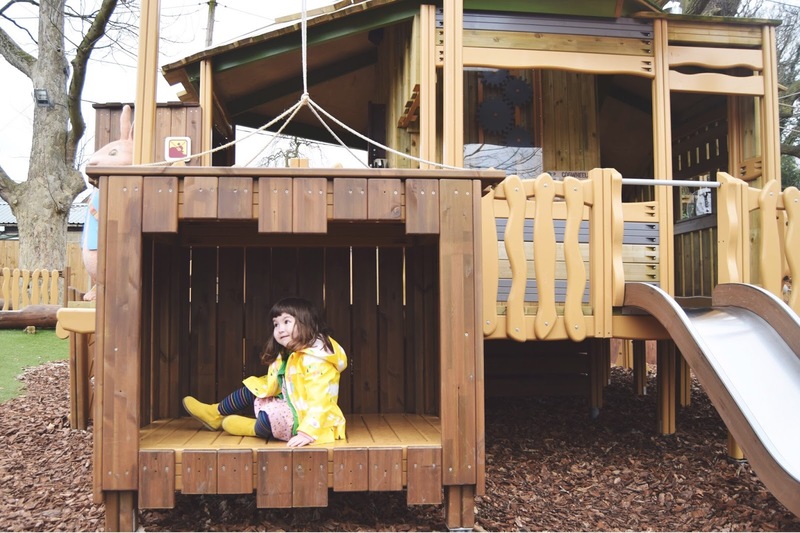 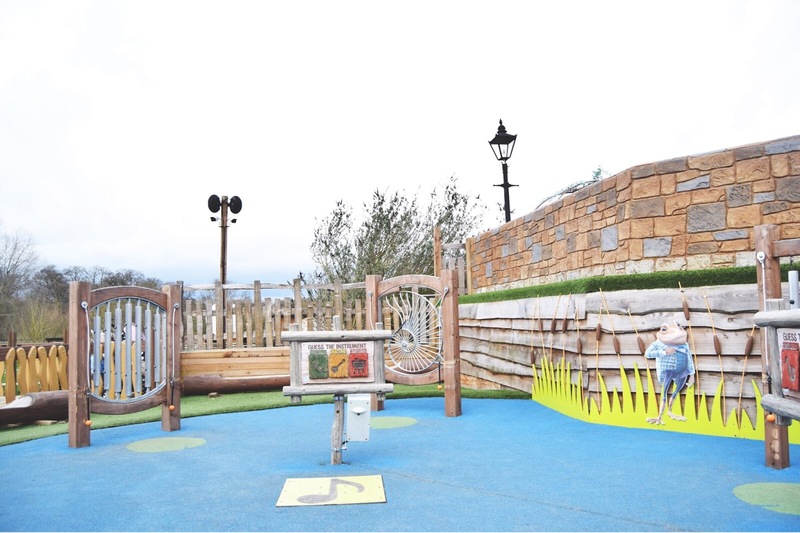 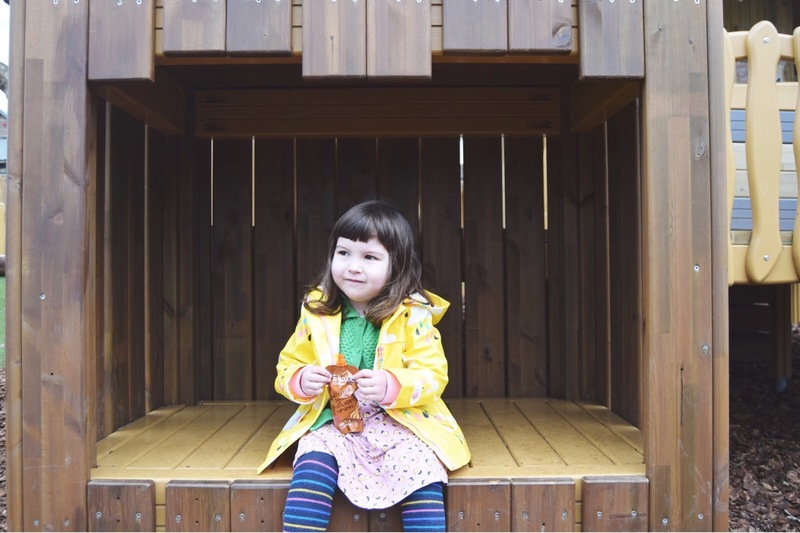 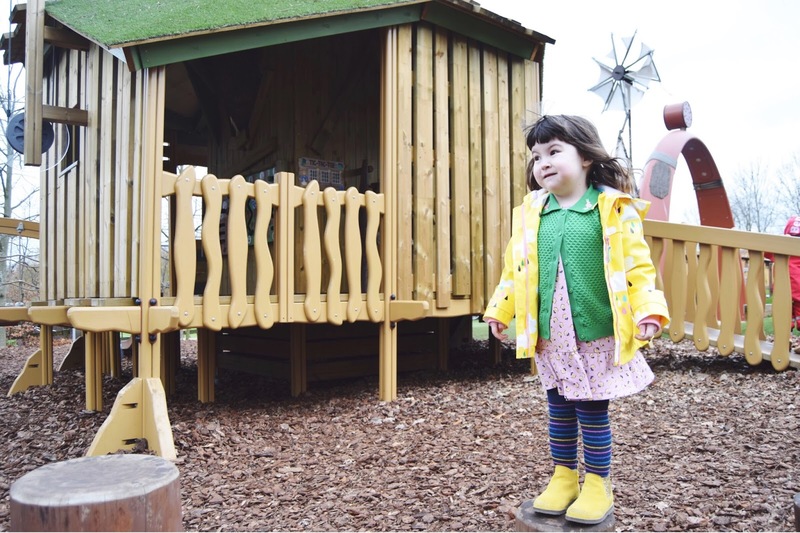 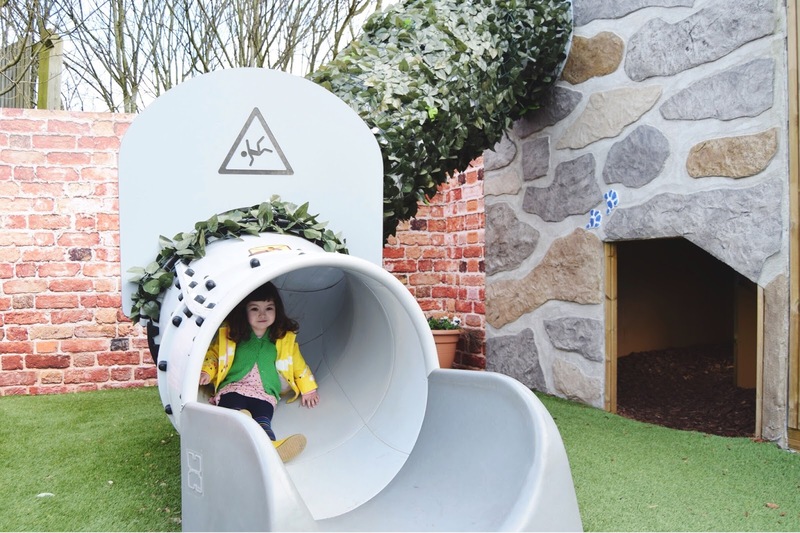 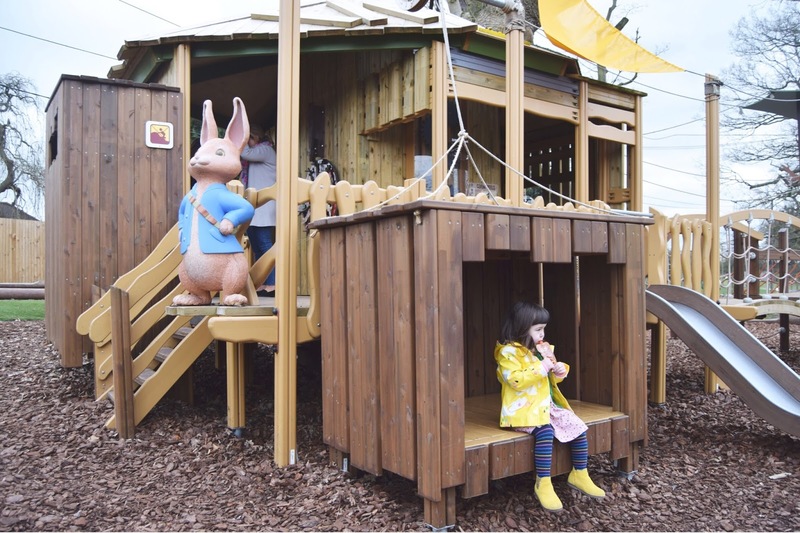 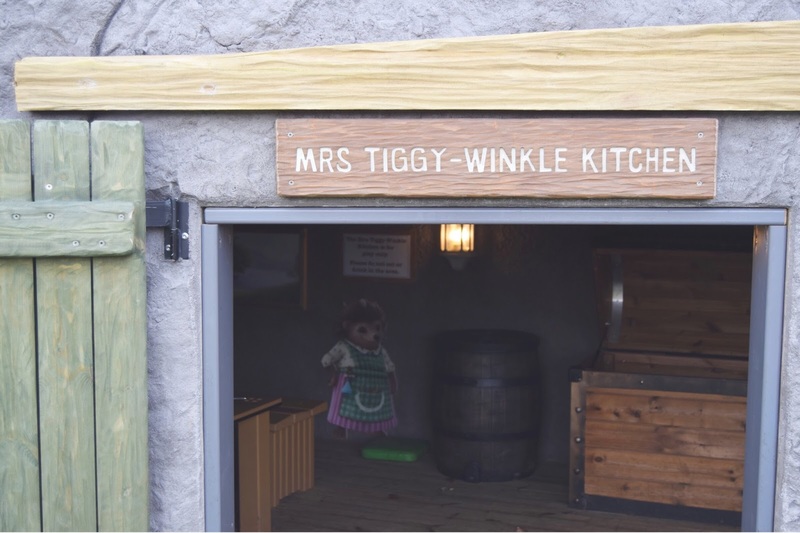 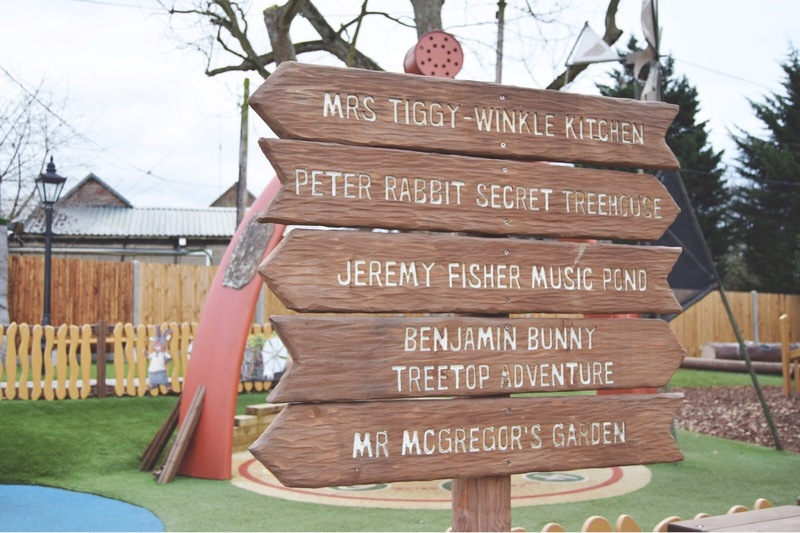 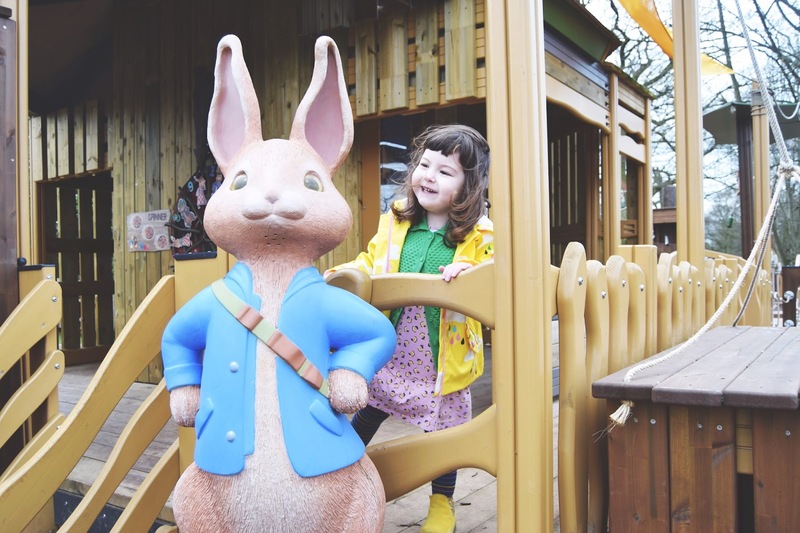 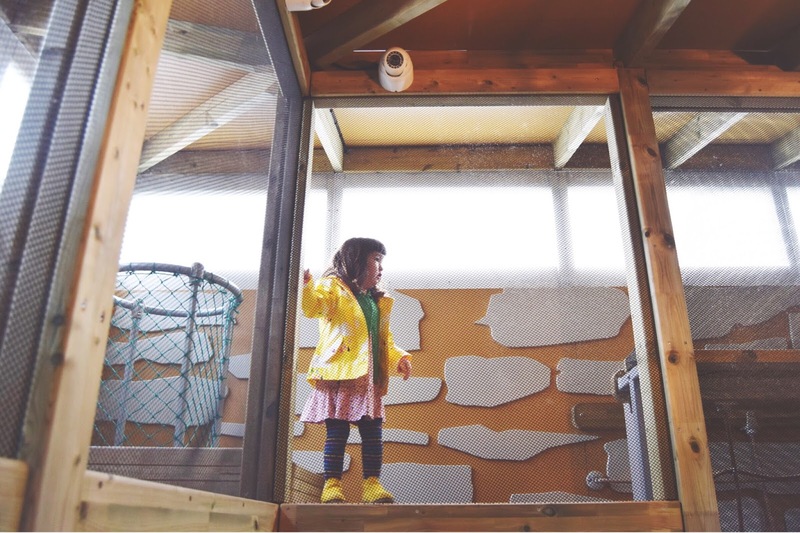 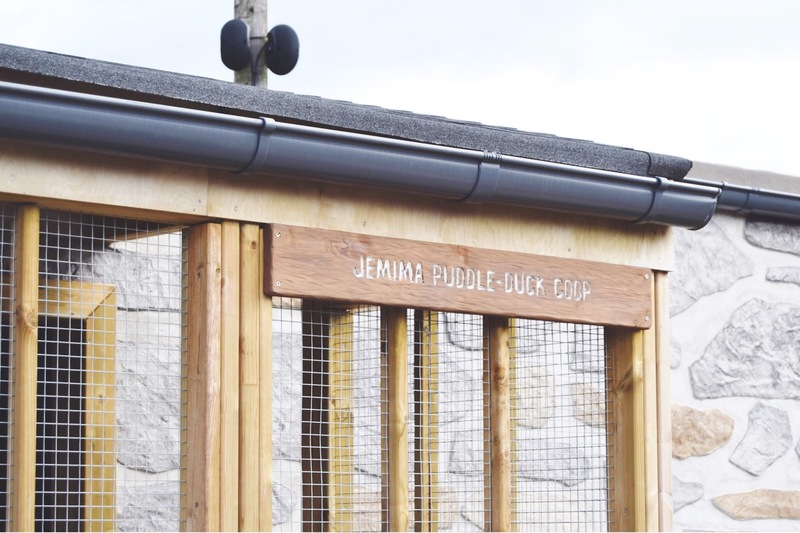 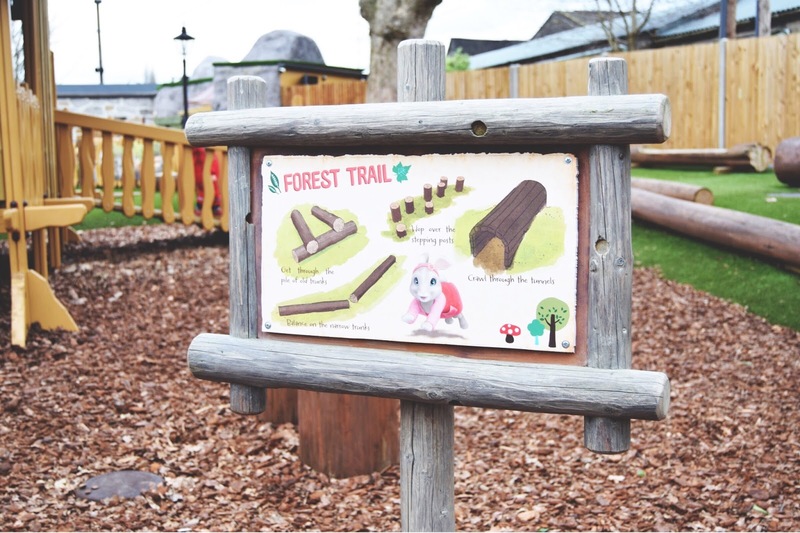 Even better, the Beatrix Potter themed park comes with different zones - the tree house for agility, Mrs Tiggywinkle's cottage for role play and sensory music areas galore.